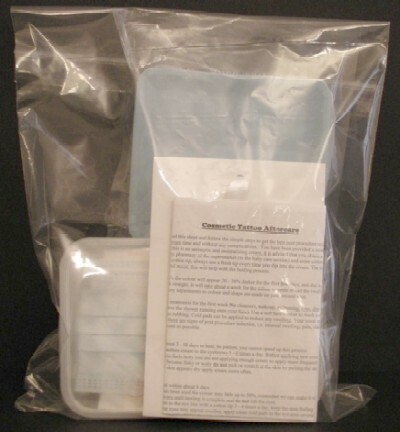 Our Universal Procedure Packs© are our own innovation and they contain the majority of the disposable items that are required to complete a procedure but they do not contain any machine related disposables or needles so they can be used with any machine by simply adding your own machine components and needle. The packs also come with the specific additional supplies for Eyeliner, Lips or Eyebrow tattooing. If you would like us to make up a custom Procedure Pack for you specific needs just Contact Us for a quote. Another way that the CT Shop is making your life easier! CT Shop Universal Eyebrow/Lip Procedure Packs contain the majority of the disposable items that are required to complete a Cosmetic Tattooing procedure with any Machine, just add the machine components. CT Shop Universal Eyeliner Procedure Packs contain the majority of the disposable items that are required to complete a Cosmetic Tattooing procedure with any Machine, just add the machine components.